The most functional convertible of the collection: Istanteis like a fresh-faced youth, ready to work as a bed or a sofa without clashing with its surroundings. 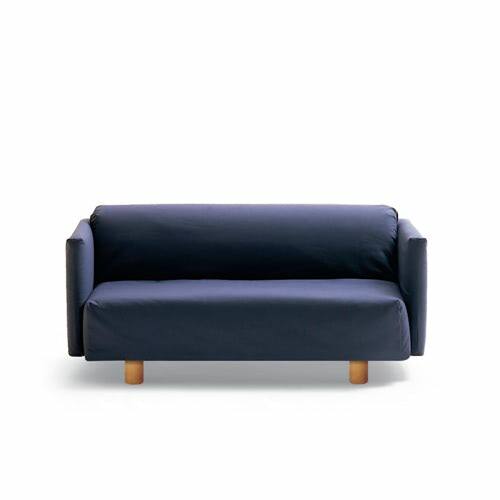 Mattress and plumette, folded as necessary, form the seat and back of the minimalist linear sofa, free of all decorative elements. Inside, perfectly concealed as always, an agile mechanism converts it into a comfortable. 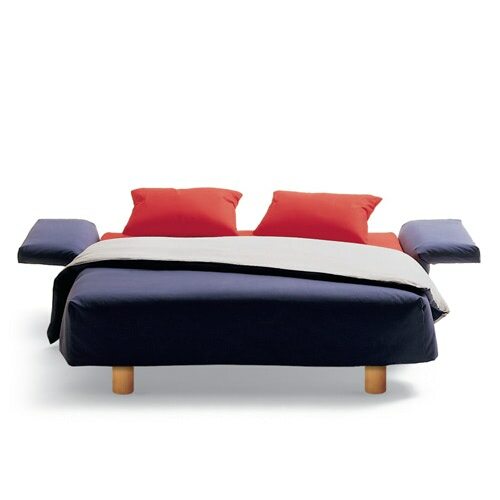 Minimal sofa bed and covertible armchair, with removable cover. The bed blanket can be separated from the couch cover. Steel structure, wooden bed slats with resin dampers. High density expanded polyurethane mattress. The reclining arms are adjustable in three positions. Small accessory table in white enamelled steel.